Roos Koks: Why is this blog called 'The Yellow Coat' ? Why did I choose for this blog name? I'll explain. Late 2012, I was looking for a fall/winter coat. It was already late in the evening. My mother and I were already been in thousands of shops looking for the perfect coat and we had almost specified our courage. However, we decided to enter the H&M as last hope. And there it hung. One of my best purchases ever. It was love at first sight. The jacket was not expensive, fitted perfectly and the best: it wasn't such a standard jacket everyone else has. You see that the coat not longer looks very nice and that is not so weird. I wear it almost every day. Just because it's comfortable, has fine pockets where i can put easily my stuff in and it has such a beautiful color. I've never actually been struggling with combining this coat. I usually wear dark clothes so I don't have the problem that it won't match with the rest of my outfit. The coat is unfortunately not longer for sale. 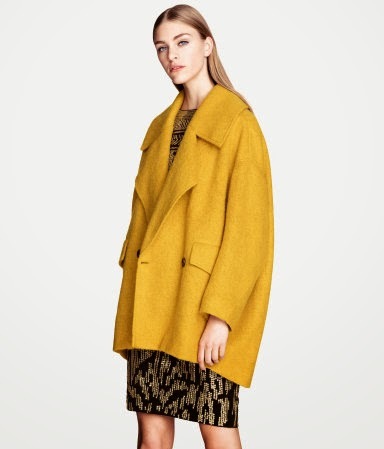 But this season, H&M has another mustard-yellow coat in the collection. This time it's a bit oversized. 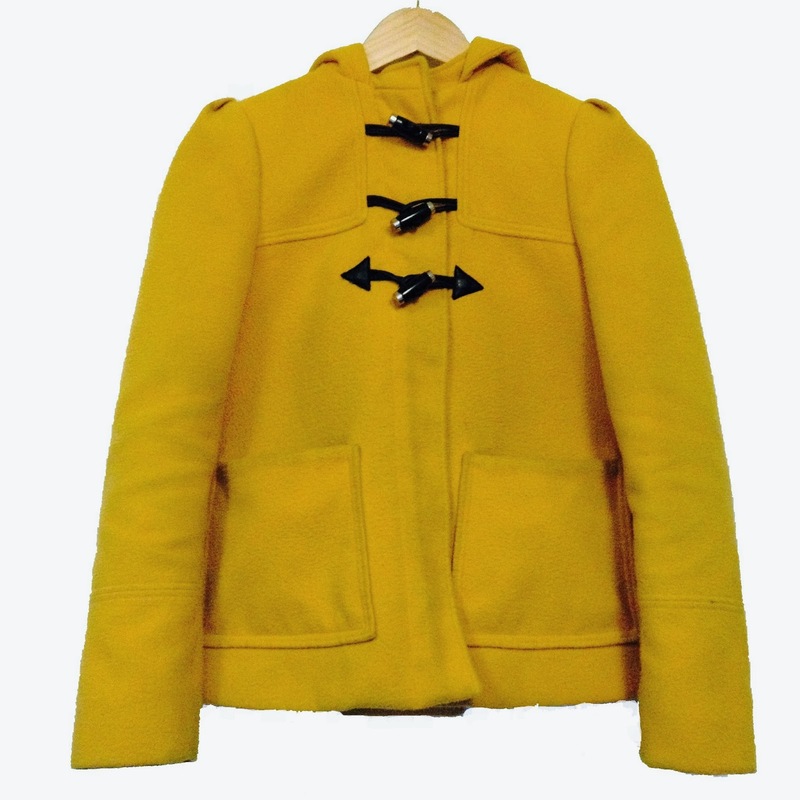 If you like this kind of coats I should definitely check it out. So in short: I looked for a blog name that says a lot about me. 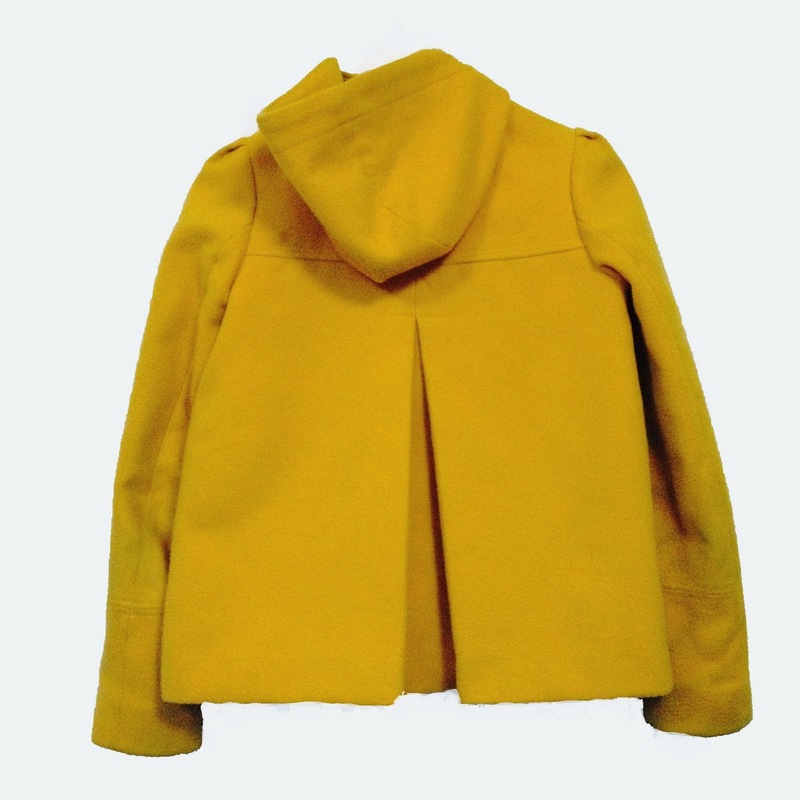 Since you can recognize me as 'the girl in the yellow coat', which was in my opinion a bit of a long name, so it's simply become 'The Yellow Coat'. 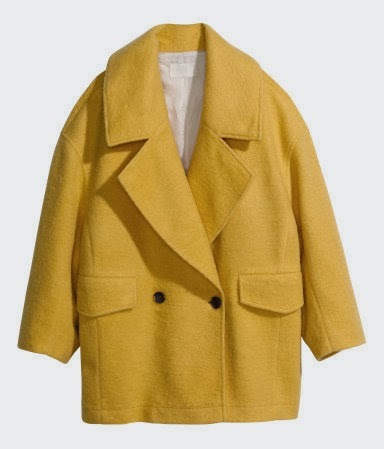 Oversized Yellow Coat H&M - now in the collection. Do you have also a garment to which people can recognize you? Leave a comment below. Heb jij ook een kledingstuk waaraan mensen jou kunnen herkennen? Laat een berichtje achter. Wat supergrappig om te lezen hoe je bij je blognaam bent gekomen! Leuk! En ik ben fan van geel! Ik heb net de mohair trui van de huidige H&M collectie aangeschaft: zo mooi!